Carson passed away on Feb 14, 2010 in the middle of the worst snowstorm I have ever seen in D.C. 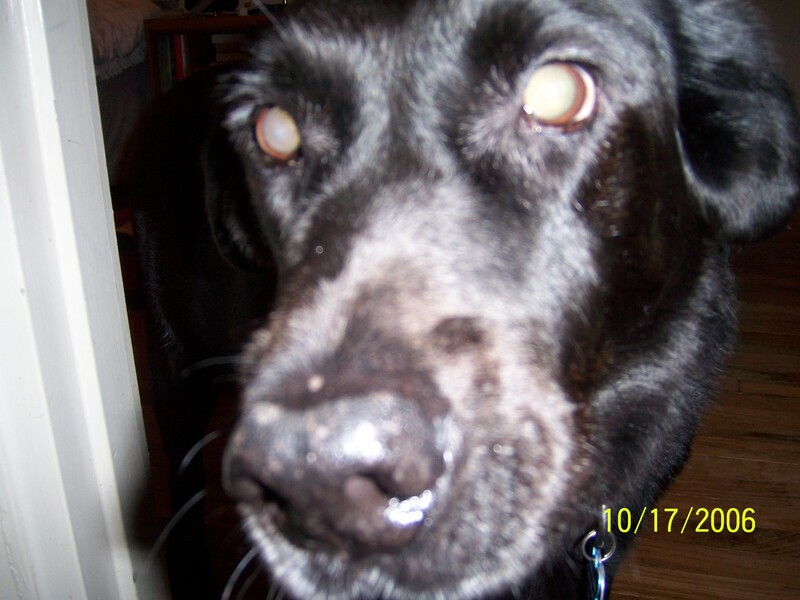 He was a Black Lab Rescue Dog whom I adopted when he was 5 years old. He had been living on the street with a homeless man and another dog. He and his brother were both seized because their owner kept letting them run on to a major freeway. Carson spent one year at the Friends of Homeless Animal Shelter before I adopted him. He was a big stubborn boy and you will find many posts on this blog about him. My favorite…and the one that showed his true attitude was called Mexican Standoff With A Dog. Carson was yet another experience in life that highlighted cancer. You can read Carson’s diagnosis and his death. He was a wonderful dog and I am glad to have spent time with him…even if it was only a few years. Lauren Dodson & Hallie Lyons giving me a goodbye pet before they had to fly back to Houston. Your Carson is cute… but mine is cuter! I know you love Toby but i know you miss carson as each of them fill a spot in our heats. my favorite memory of carson is when he peed on my Chirstmas Tree. Just a little diffent from a small dauchsand. Charles and I still laugh about that every year when we put that tree up. Funny how they make lasting memories!